Another Thankfully Reading Weekend has come to end. I read one book over the weekend - Extras by Scott Westerfeld. I really enjoyed it - a review will be coming soon. Write a post about the book you are most thankful for. This could be a book released this year or twenty years ago. Your post should include why you are thankful for that book. After my son West was born four and a half years ago, I was completely overwhelmed with being the mom of a two-year old and a baby. I was lucky to pick up a magazine for few minutes a day. Reading books, one of my favorite pastimes, became a distant memory. Until the day two years ago that my friend Capello brought me the book Twilight and told me that I WAS reading this book whether I wanted to or not. In addition to waking up my inner fifteen year old girl, reading Twilight brought back my reading mojo. After I finished the Twilight series, I started reading again on a regular basis - all kinds of books, not just fluffy vampire ones. Now reading is once again a huge part of my life. Thanks Twilight! 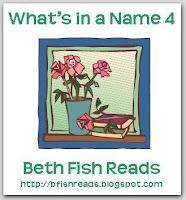 I'm a slow reader (compared to some in the blogosphere at least!) so I'm trying to keep my expectations realistic. This is no pressure event after all! 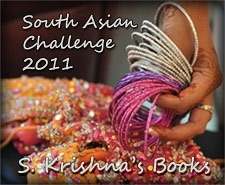 I signed up for three books in the South Asian Author Challenge. 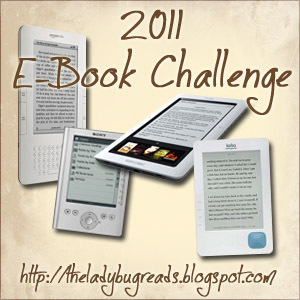 I signed up for Honorable Mention (1-3 books) for the Books Won Challenge. I won a prize pack of picture books from Booking Mama a few months ago and the boys and I have read them all - I just need to sit down and write something up about them. My husband has a long list of projects that he wants us to accomplish over Thanksgiving weekend - exciting tasks like packing and organizing all the clothes the boys have outgrown - but I'm hoping to sneak in some reading time as well. Emerson Watts (Em) is a tomboyish gamer, not a party girl. She begrudgingly accompanies her younger sister to the grand opening of the Stark Megastore so that her sister can see her celebrity crush, Gabriel Luna and her idol supermodel Nikki Howard. While waiting in line for Gabriel’s autograph, a flat-screen TV falls from the ceiling and lands on Em. She wakes up from a coma a month later and learns that her life has been forever changed. The back cover of this book is really vague (like my description above) so I had no idea what to expect from this book. I just picked up it because I’m on a personal mission to read/listen to all of Meg Cabot’s books. I was surprised to discover as I listened to this book that this book is partly science fiction. It’s definitely not hard science fiction but if you don’t think about how unrealistic it is and just go with it then it’s a very fun read. I don’t want to give too much away – part of the fun is not knowing what happens ahead of time. This book is the first of the Airhead series – I’m looking forward to listening to the rest of the books in the series. Heather Sellers suffers from a rare neurological disorder called prosopagnosia or face blindness. She can’t recognize people by their faces. She wasn’t diagnosed until she was in her thirties – growing up she knew something was wrong with her but assumed she had some kind of mental illness. Adding to the confusion she experienced growing up was the fact that her mother was a paranoid schizophrenic and her father was an alcoholic who wore women’s underwear. This book is a fascinating memoir. Heather does an excellent job of explaining her disorder in laymen’s terms and conveying the confusion she experiences on an everyday basis. Also, she describes her unusual parents so vividly, I felt like I could see and hear them. She does a great job of capturing her mother’s fluctuating moods in the manner in which her mother speaks. I’ve always been fascinated with how the brain works and mental illness. This memoir is not only the story of Heather and her quest to make sense of her world but also a great character study of her parents, especially her mother. I found myself thinking about this book a lot and talking about it with other people more than I usually do with books I’m reading. I think it would make a great book club selection – there are so many facets of Heather’s life that would be great discussion points. This is one of the best memoirs I’ve read, right up there with The Glass Castle. I highly recommend You Don’t Look like Anyone I Know.